Truck Accident Personal Injury & Wrongful Death Lawyers Santa Paula, California! Need Experienced and Trusted Attorneys to Handle Your Santa Paula and Ventura Personal Injury And Wrongful Death Claims? A team of lawyers and legal experts serving those injured in Santa Paula, Ventura, California, we have vast experience of more than 40 years in concentrating on and actually settling thousands of personal injury, wrongful death and truck accident claims. We strive to ensure that our clients receive maximum compensation settlements for all injuries, medical expenses, loss of earnings, and all pain and suffering. Besides this, we commit ourselves to the legal needs of our clients and their families in the best way possible to assist them in complying with the required procedures and formalities in California, including the many time deadlines and procedures required by truck insurance policies. More than a four-decade-long membership with the California State Bar. Graduated UCLA Phi Beta Kappa, which is the Oldest Academic Honor Society in the nation. Recovered monetary compensation for our clients over $100,000,000.00. Awarded Personal Injury Law Firm of Years in 2011 and 2014. Have a success rate of over 95% in resolving thousands and thousands of personal injury and wrongful death accident cases. Vehicle Repairs: In many Santa Paula truck accident cases, road accidents can cause heavy damages to your car, truck or motor vehicle, leading to a need for repairs or total loss claims. Our attorneys and legal team assist you with tow, storage, repairs, total loss replacement and rental cars and rental trucks. Medical Care: A truck accident can inflict painful injury on the victim. Mindful of the fact, we help our injured clients find doctors and therapists. These medical professionals administer the necessary treatments without asking for a payment until your personal injury claim is resolved. As a result, you can undergo treatment without worrying about payment, not even co-payments or deductibles. Cash Advances/Emergency Loans: In many instances, road accidents can have damaging effects on your financial state – large medical bills coupled with loss of earnings. However, when appropriate we help our clients procure cash advances or loans. Transportation to Doctor: We help organize medical visits for our clients. Besides this, when our clients need transportation we usually can arrange transportation to and from doctors, specialists, X-Rays and scans,and physical therapists. Contact us 24/7 for your FREE consultation and case evaluation for any truck accident or personal injury in Santa Paula, Ventura, CA. Just click here and fill-our our easy and confidential form. Further, visit our lawyer profiles to know about the credentials and experience of our expert personal injury attorneys. To get an insight into the complex process of handling truck accident claims, go through our Truck Injury Accident Web Site; and for FREE advice on how to handle your own particular truck accident personal injury or wrongful death claim, simply call us now at 1.866 INJURY 2 or 818-222-3400 (after hours, please press “1”). Located in Ventura County, California, the city of Santa Paula has a population of 29, 321, as per 2010 US Census. 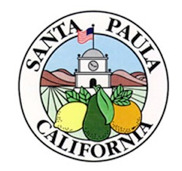 Santa Paula is situated amidst the orchards of the fertile Santa Clara River Valley in Ventura, California. Further, Santa Paula, California stretches across a total area of 4.7 square miles. Highway California State Route 126 runs along the Santa Clara River through the valley, while it passes through the towns of Santa Paula and Fillmore. The freeway or highway portion of this road, i.e. Santa Paula Freeway, starts off in Ventura at US Route 101 and runs northeast through the city and interchanges with the western end of California State Route 118. The State Route 126 then runs through the Saticoy Oil Field to the northeast, proceeding through Santa Paula, where it meets State Route 150. The freeway part of the this road concludes at Hallock Drive. SR 126 continues thereafter as Telegraph Road. Charles McKevett Teague, a former US representative, was born in Santa Paula. Moreover, Eric Fleming, a former American actor, was also born in Santa Paula. Besides, Jim Colborn, a former MLB pitcher, was born in Santa Paula, CA. Laura Diaz, a Southern California Newscaster, was also born in Santa Paula, CA. Also, Danny Flores, a former American rock and roll saxophonist, was born in Santa Paula, California. For a quick FREE legal counseling, fill-out the details in our contact us form and familiarize us with your Santa Paula, CA personal injury or wrongful death accident case. Besides offering an absolutely FREE and confidential case consultation, we don’t charge anything until You WIN! That’s right, on truck, car and other accident claims in Santa Paula, Ventura and California we work on a contingency fee. That means our fee comes out of the recovery usually paid by the other person’s insurance company and not out of your own pocket! FREE CONSULTATIONS NO FEE UNTIL YOU WIN CONTINGENCY FEES!